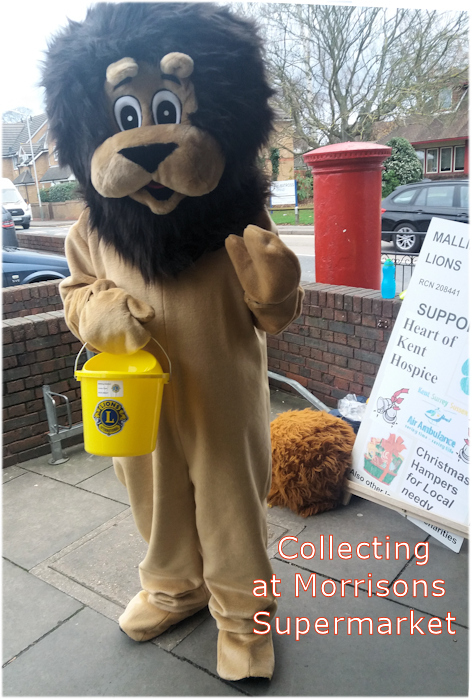 Formed in 1970 Malling District Lions Club has proudly served the local and International community ever since. The Club holds various activities throughout the year to raise funds; Tin Shakes and Events are our specialities. We have 25 full members. We also have a thriving body of Friends of Lions who help us out at events as well as attending social gatherings. Last Christmas we provided over 100 hampers to the local needy, including 25 to families. We regularly collect unwanted spectacles and have recently sent off a batch of over 900 pairs to be recycled and used in under developed countries abroad. We have a monthly 'Eat and Meet' where we all meet up with our partners and friends in a local pub for an enjoyable social evening; once a year we have our Charter Night, to celebrate the Club's formation, usually in the form of a formal Dinner and Dance - this year it was held at the West Malling Golf Club last October. The Countess of Wessex G.C.V.O. as Patron of Lions Clubs of the British Isles since 2004 held the Royal Reception at Buckingham Palace on Wednesday, 28th February 2018 to celebrate a ‘Century of Service’. Lion President Christine joined in the 100th Birthday celebrations with hundreds of volunteers who came together with the organisations’ partners for this special occasion. Our major event for the year was our Annual Sponsored Charity Walk in aid of Prostate Cancer Research and we are grateful for all those who supported giving us a total raised of £1910 for such a worthwhile cause. 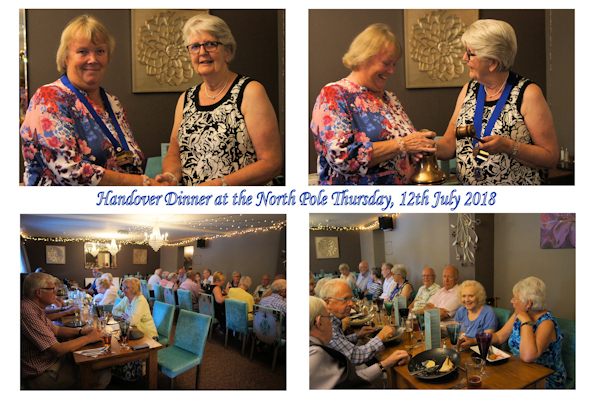 On the occasion of our "Handover Dinner" and Annual General Meeting, outgoing President, Lion Chris Roberts installed Lion Yvonne Clarke with the chain of office, bell and gavel. "I have enjoyed the last year and hope that you all have too, and I would like to thank you all for electing me to this role. I have attended many club meetings and Charter lunches and dinners, which included Thanet Lions 50th anniversary. I also had the pleasure of attending Buckingham Palace to attend the Lions 100th anniversary reception given by our patron The Countess of Wessex. I assisted at our Pensioners' Tea Party which once again was a great success and was enjoyed by Lions and guests alike. My thanks goes to Mike C and his team for their great effort in making up and delivering 120 Christmas food parcels to needy families in our community. The visit to the chocolate factory to thank them for providing us with our new Easter eggs and chocolate Santa’s, which proved a great success. Visited the Maidstone Oncology department as the club had donated money along with Kent Prostate to purchase some special equipment. So, our voluntary working hours this year was in access of 1250 man hours. 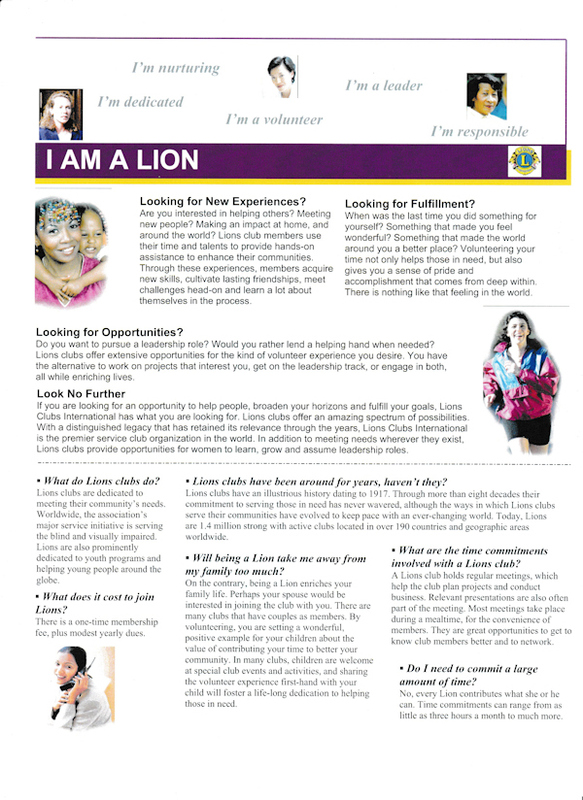 Thank you, Lions, wives, partners and friends for all your hard work."